AKA SEEMS not to be downgrading anytime soon. 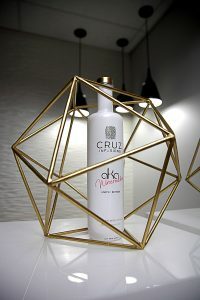 New entrant Cruz Vodka- Watermelon edition by AKA. Recently, he unveiled his latest Cruz Vodka- Watermelon edition. This exclusive partnership is the first of its kind in Africa, ranking on the same level as international deals for Sean Combs’ partnership with Ciroc and 50 Cents’ with Vitamin Water. Since partnering with the vodka brand in 2016 worth millions, the SupaMega’s Cruz Watermelon Vodka-limited edition adds another cap in his illustrious career within the showbiz and music industry, respectively. Cruz Watermelon Vodka is the result of an infusion of natural watermelon juice and vodka. It has an intense flavour profile with a fresh, fruity character and a crisp finish. “The new Cruz Watermelon Vodka combines one of my favourite flavours with the best vodka. We’ve created something so desirable that everyone will want to drink it, whether mixing in cocktails or enjoying straight on the rocks, a truly desirable product,” says AKA, who is also Beam Group chairman. The Cruz Watermelon Vodka limited edition is available at all leading retailers nationally while stock last. Yes, the absence of Bonang (‘partner in crime’) at the launch left many speechless but the SupaMega was not perturbed either.